SS1 Caseres 1 (gravel) (12.50 km) 7:24.3 11. 11. 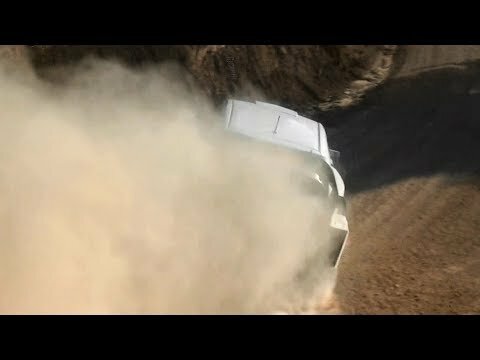 WRC 101.3 0.61 7:24.3 11. "I need to build my experience on these roads. I was expecting much more. Generally it was very messy." / "Musím získat nějaké zkušenosti s těmito tratěmi, čekal jsem víc." SS2 Bot 1 (gravel) (6.50 km) 4:06.3 7. 7. WRC 95.0 0.28 11:30.6 10. "A much better stage. I'm here to learn." / "Mnohem lepší. Jsem tu, abych se učil." SS3 Terra Alta 1 (gravel & asphalt) (38.95 km) 25:42.8 12. 12. WRC 90.9 1.23 37:13.4 12. "No brakes. When we hit the Tarmac section they went - and that was it." / "Hned jak jsme vjeli na asfalt, tak jsme přišli o brzdy." SS4 Caseres 2 (gravel) (12.50 km) 7:09.0 3. 3. WRC 104.9 0.07 44:22.4 12. "I'm a bit happier, but maybe this was too much for the tyres already. I have to have a look." / "Jsem spokojenější, ale musím omrknout pneu." SS5 Bot 2 (gravel) (6.50 km) 4:02.0 11. 11. WRC 96.7 0.66 48:24.4 12. "Too many mistakes, the grip is okay but the brakes are not. I think it will be impossible for me to manage them in Terra Alta." SS6 Terra Alta 2 (gravel & asphalt) (38.95 km) 24:37.4 9. 9. WRC 94.9 0.47 1:13:01.8 10. SS7 El Montmell 1 (asphalt) (24.40 km) 12:35.6 8. 8. WRC 116.3 0.56 1:25:37.4 10. Car missing its rear-left window. Which is a surprise to Lappi. "Really? It must have been loose. Otherwise no moments, a bit on the safe side, so easy to improve." / "Že nám chybí okno? Tak to nám ho někdo ukradl." SS8 El Pont d'Armentera 1 (asphalt) (21.29 km) 11:00.1 6. 6. WRC 116.1 0.26 1:36:37.5 9. "Okay, no mistakes, no drama. Everything is fine." / "Vše v pohodě." SS9 Savallà 1 (asphalt) (14.12 km) 7:28.2 2. 2. 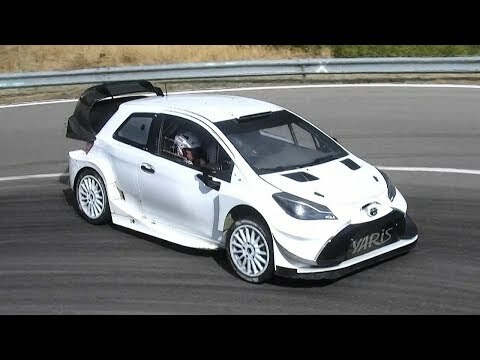 WRC 113.4 0.21 1:44:05.7 9. "I made changes to the differential. It's going better and better." / "Udělal jsem změny na diferenciálech a je to lepší." SS10 El Montmell 2 (asphalt) (24.40 km) 12:25.4 2. 2. WRC 117.8 1:56:31.1 9. "Near the end we had to avoid a rock on the road, but no drama. Otherwise a lot of gravel on the road." / "Ke konci jsme se vyhýbali kamenu na cestě, ale žádné drama. Jinak je vytaháno dost bordelu." SS11 El Pont d'Armentera 2 (asphalt) (21.29 km) 11:02.2 7. 7. WRC 115.7 0.12 2:07:33.3 9. "Quite okay. A few mistakes. A few times too slow over the crests. I thought I could improve after the first run. It seems I couldn't. I need to work on my pace notes for next year." / "Několikrát jsem byl moc pomalý přes horizont. Musím do příštího roku zapracovat na rozpisu." SS12 Savallà 2 (asphalt) (14.12 km) 7:31.0 3. 3. WRC 112.7 0.07 2:15:04.3 6. "We made some changes in service and the car is feeling better." / "Po změnách v servisu je auto lepší." SS13 Salou (asphalt) (2.24 km) 2:38.9 10. 10. WRC 50.7 2.28 2:17:43.2 6. "Now the set-up is really good. I'm really looking forward to tomorrow now. This stage was very tricky - hard to judge the grip." SS14 L'Albiol 1 (asphalt) (6.28 km) 4:06.6 10. 10. WRC 91.7 0.91 2:21:49.8 6. "Quite okay, no mistakes, all the time on the safe side - just not fast enough." / "Jel jsem bezpečně, ale ne dost rychle."